Mix all together and pat into 1 oz or 2 4oz patties. Cook patties in oven on medium heat. 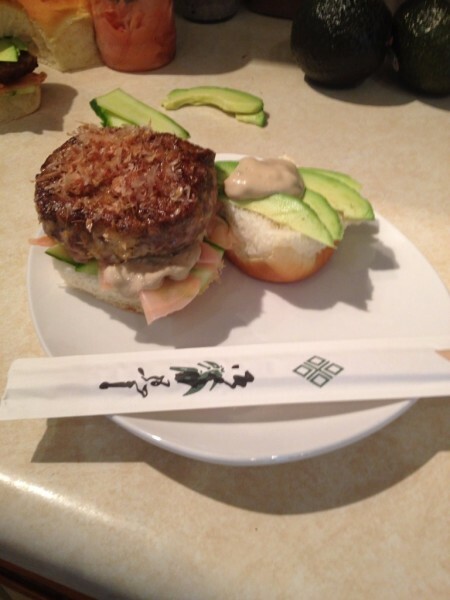 Mix the wasabi and soy into a paste and whisk well into the mayonnaise. 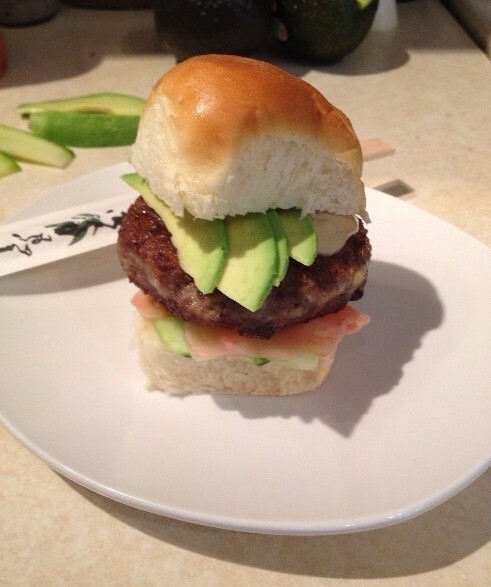 Serve everything on a Hawaiian Bun.